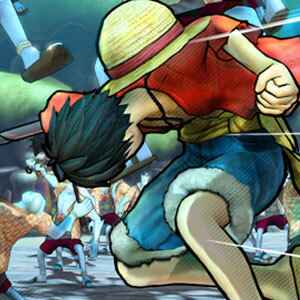 Find all Game Code stores and prices to download and play One Piece Pirate Warriors 3 at the best price. Save time and money: Compare CD Key Stores. Activate One Piece Pirate Warriors 3 CD Key on your Steam client to download the game and play in multiplayer. You can participate to these tests by adding comments about your digital download purchase in the store review page. 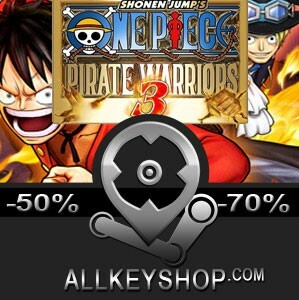 Enjoy the best deals for One Piece Pirate Warriors 3 CD Key with Allkeyshop.com! One Piece: Pirate Warriors 3 is a action video game published and developed by Tecmo Koei and Omega Force. The main themes of this game is the animation and Manga. The story begins in the small village of the kingdom of Fuschia Dressrosa on an island controlled by Don Quixote Doflamingo. You’ll have to deal with ruthless pirates when you sail to the most remote regions (Punk Hazard, Marineford ..). On board your ship, take part in beautiful sea battles within your world. 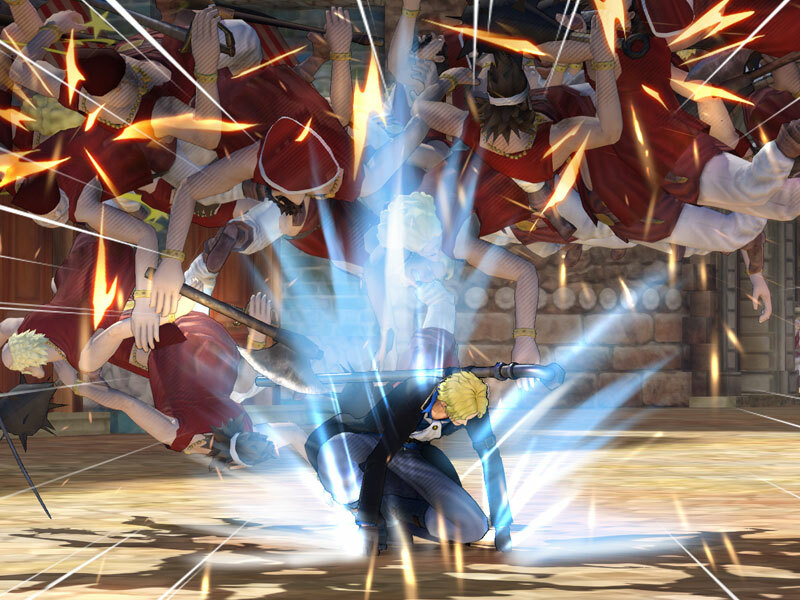 One Piece: Pirate Warriors 3 features moving images and sophisticated graphics that a delight to see and engage in. The game is also equipped with an impressive number of popular characters that promotes the development of history and causes instant immersion. In short, all the ingredients are here to make this One Piece: Pirate Warriors 3 a must have modern video game. If you like Manga universe and action here is a mixture that will not leave you unmoved. There are 62 offers ranging from 5.23€ to 51.99€. 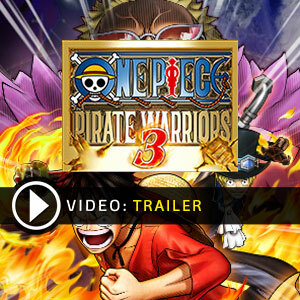 STEAM CD KEY : Use the Steam Key Code on Steam Platform to download and play One Piece Pirate Warriors 3. You must login to your Steam Account or create one for free. Download the (Steam Client HERE). Then once you login, click Add a Game (located in the bottom Left corner) -> Activate a Product on Steam. There type in your CD Key and the game will be activated and added to your Steam account game library. UPLAY EMEA CD KEY : What does EMEA mean? EMEA Signification is a UPLAY key for Europe, Middle East and Africa, and several other countries. Please read store description about country restrictions to know which are concerned. You need to install the Uplay Software from (HERE), then simply add the CD Key on Uplay to download and play One Piece Pirate Warriors 3. EU STEAM CD KEY: Requires an EUROPEAN IP address or you must activate it with a VPN (Virtual Private Network) in order to play One Piece Pirate Warriors 3. Might have languages restrictions or language packs. Read the description on the store game page to know if the EU IP is only needed for activation or for playing also (maybe on EU Servers). Most of the stores offer you their help, or show you how to do this with a tutorial to follow. STEAM EMEA KEY : What is Steam Key EMEA signification? EMEA means for Europe, Middle East and Africa and several other countries. Please read the store description about country and language restrictions to know which are concerned. 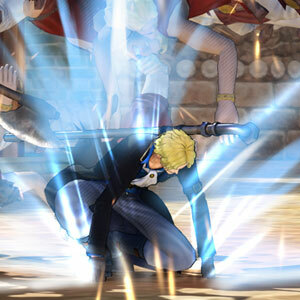 Use the key to Download and play One Piece Pirate Warriors 3 on Steam. STEAM KEY ROW : It means for Rest Of the World countries which are not concerned by the region restrictions. This product can&apos;t be purchased and activated in Several countries. Please read the store description to know the full list of countries which are concerned. 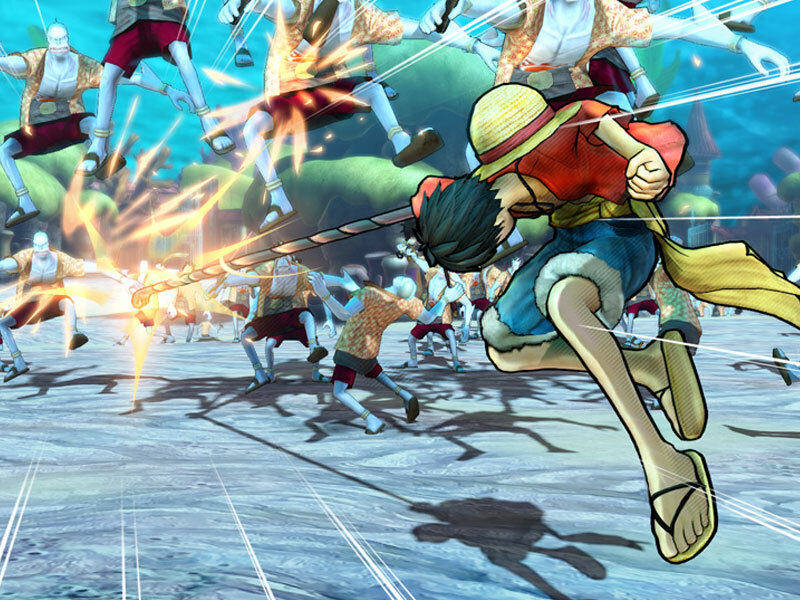 Use the key to Download and play One Piece Pirate Warriors 3 on Steam. It appears G2A has the best price as of this writing. And it still does… It’s one of the best websites to buy cd keys from! gamesrocket.com is the best store to buy a One Piece Pirate Warriors 3 Cd key.